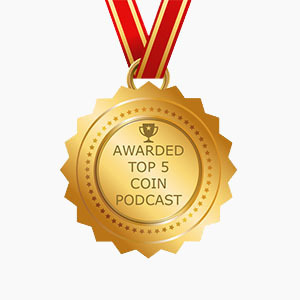 If I was asked by someone just entering the hobby for advice on how to get started as a coin collector, I would share the best piece of numismatic wisdom I have ever learned. It’s simple, it’s tried and trued, and it, like most good postulates, remains valid over time. “Buy The Book Before The Coin”. I think it says it all, succinctly and clearly. It’s good advice when you first enter the hobby, and it’s equally good advice when you’re a seasoned professional. 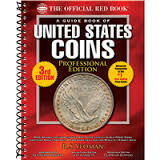 The first book that I would recommend to an absolute newcomer is A Guide Book of United States Coinage by R. S. Yeoman. It is the go-to book for coin collectors of all levels. The depth and breadth of knowledge that it contains makes it an invaluable tool for anyone who wants to learn about United States coinage. As a writer and researcher, I find it to be one of my most valuable fact-finding tools, and a reference that I think might be the most used of the reference books I have, and trust me, I have more than a few. I think that most experienced coin collectors have owned a copy of this book, if not several copies of the annual, making it probably the best selling numismatic book of all-time if I were to estimate. So, to say that the Guide Book is successful is likely an understatement on my part. It has been published in 8 decades and I don’t see an end in sight, but as with anything over time, evolution will take its course, and the evolution of the Red Book is no different. Collecting United States coins as a hobby continues to grow and evolve, and our greatest numismatic reference has endeavored to grow along side of it. But improve the Red Book? Seriously?!? Is it even possible? Can you take the greatest work of all time and just “add a chapter”? Do we add faces to Mount Rushmore? Can we put a more fashionable haircut on the Mona Lisa? Attempts to re-invent the numismatic reference have come and gone, with few enjoying some marginal level of success, and some missing the mark entirely. None have ever been able to replace the Guide Book. A Guide Book of United States Coins, Professional Edition is an expanded version of the original Red Book intended for intermediate, advanced and professional use. Instead of re-inventing the Guide Book, new layers have been added which give an already indispensable reference an even richer depth and breadth. The Professional Edition features more in-depth coverage of U.S. coins in their entirety, from the Federal Era through the present day. It covers Half Cents to Double Eagles as well as Commemorative Issues, bullion coins, and Proof and Mint Sets. More levels of pricing are listed in the Professional Edition. Valuations are given for Full Bell Lines, Cameo/Deep Cameo, Full Split Bands and other superlative designations. Multiple Mint State and Proof valuations will help the reader to gain a better perspective of the overall market. The Professional Edition lists certified population summaries for NGC and PCGS which include the total number certified, average grade, percent of Mint State coins and the finest Proof grade. Auction data is also included. One of the improvements in the Professional Edition that I like is the listing of additional die varieties. Listed in every denomination, not just some, they are well covered and will likely suit the uses of most. Richly illustrated in beautiful full color, the Professional Edition delivers with even more photographs of key focal points and variety diagnostics than the original. I could continue on a laundry list of other improvements I found in the book, but I’d like to leave the reader a few surprises. Personally, I’m a fan of the expanded section on bullion coins. They have pages and pages of information on newer programs such as the 5oz. Silver ATB Quarters, the Buffalo coins, First Spouse, and other programs generally too new to find in many books. Another section that I particularly liked is the appendix on Great Collectors and Great Collections of The Past. Often in historical accounts you’ll find reference to a collector or his collection, like Louis Eliasburg. Having these facts add yet another layer of knowledge to the historical accounts and pedigrees that preserve the heritage of particular coins and can thereby enrich the collecting experience. Writing a new version of a classic and retaining the benchmark quality is no small task. The Red Book is, at least in my opinion, the “numismatic bible” of U.S. Coins, and possibly the most popular numismatic work of all-time. Improving on such a work is no small undertaking, but the Professional Edition hits or exceeds the mark in so many ways! A herculean feat delivered to the reader by what I would call, the numismatic equivalent of the “dream team”, Kenneth Bressett and Q. David Bowers. Two true giants in numismatic cataloguing, writing and researching. The mix of their writing in this new Edition creates a synergy that adds another dimension and another layer to the numismatic standard. R.S. Yeoman retains the writing credit for the Guide Book, and Bressett moves from Editor to Senior Editor, with Bowers coming aboard as the Research Editor. Jeff Garrett, rounds out the team as the Valuations Editor. Garrett was one of the original graders at PCGS and since leaving the grading service has become a noted author and founder of Mid-American Rare Coin Galleries. He also works on the staff of the Smithsonian Institution’s National Numismatic Department. The book itself is larger than the original edition of A Guidebook of United States Coins and measures 8.5″ x 11″, or about the size of a sheet of printer paper, and at only 384 pages, it’s lightweight and easy to use. One of the most obvious of advantages of this larger size is that it allows for more and larger photos and even more text without creating an encyclopedia sized book that can be too big and bulky to carry anywhere. The current Fifth Edition was published in 2013 and features a spiral binding made popular in the original Red Book. In my opinion, this is a book that set out on the task of improving one of the greatest numismatic works of all-time, and accomplished it not by re-inventing the wheel, but by giving us a more useful wheel. More depth, more history, more research and ultimately more knowledge make A Guide Book of United States Coins, Professional Edition something that can make us all better coin collectors, whether hobbyists or professionals.